When Pharaoh let the people go, God did not lead them on the road through the Philistine country, though that was shorter. For God said, “If they face war, they might change their minds and return to Egypt.” 18 So God led the people around by the desert road toward the Red Sea. The Israelites went up out of Egypt ready for battle. 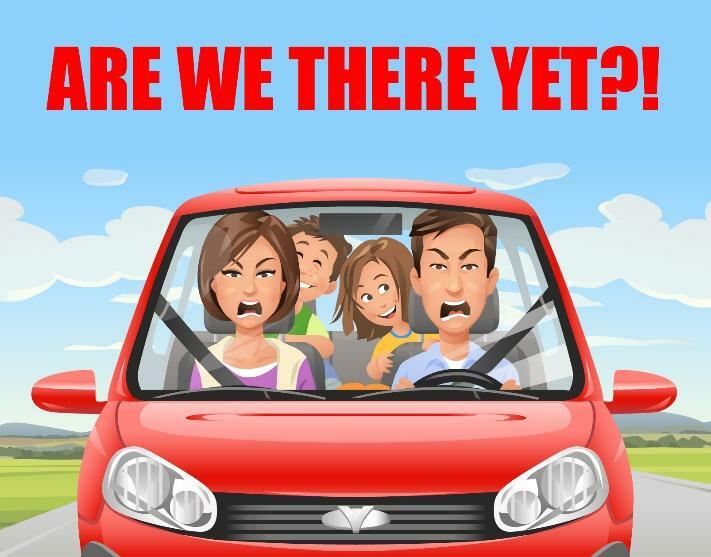 Parents have often heard their children ask the question from the backseat of the car, “Are we there yet?” I wonder how many times the children of the Israelites asked their parents this same question. What should have been a relatively short journey from Egypt to Canaan turned out to be a very long journey for the Israelites. At the outset of the journey though, the Israelites finally got to enjoy the freedom after 430 years of servitude in Egypt. With the 10th and final plague, Pharaoh had been defeated after losing his firstborn; in anger, therefore, he releases the Israelites. Now, Moses was given the task of leading God’s people from Egypt to Canaan. For mapping purposes, point A was the land of Goshen in Egypt where the Israelites had been slaves; point B was the land that flowed with milk and honey and was promised to the Israelites. With so much at stake and only a desert separating point A and point B, I’m sure Moses looked for the shortest and the quickest path to Canaan. That path was the clearly marked trade route that ran NE along the seacoast of the Mediterranean Sea. It must have been about 250 miles or so, and traveling slowly with a massive number of people, Moses may have estimated about two weeks of travel time. He had no idea that the journey would actually take 40 years! Perhaps God’s warning should have given Moses some expectations that this was going to be a longer journey than he had planned. God warns Moses, “If they face war, they might change their minds and return to Egypt.” Afterwards, God leads the Israelites South, in the opposite direction. We can see that sometimes, in our faith journey, God will deliberately take us on a much longer and, at times, puzzling paths. We must learn to be patient and trust in the Lord. Behind every movement, God understands that if we were to take the shortest, most efficient path, it’s very likely that we will face obstacles along the way and never make it to our destination. It’s difficult for us to follow; however, following the cloud by day and fire by night is the best path that God has in store for us. So what path are you on right now? To where is the Lord taking you? Prayer: Lord, help me to trust in Your wisdom as You lead me towards maturity. Help me to also trust in what You are doing in our church. I admit that I have been impatient and making efforts to project my own will. Forgive me and help me to trust in Your perfect ways. In Your name, Amen. Why does Jesus’ explanation of his upcoming suffering disturb Peter and the disciples? What does Jesus’ rebuke of Peter reveal about the contrast between man’s will versus God’s will? What sort of dialogue have you had lately with the Lord? What are you hearing from Him? The disciples expected to march on Jerusalem, pick up supporters on the way, fight an unexpected battle (and win), take over the Temple, and install Jesus as king. They assumed that’s how ‘the son of man’ will be exalted in his kingdom! Suffering was out of the picture. Peter did not have in his mind the concerns of God. His concern was for himself and his personal and national agendas. Are you still waiting on any particular promise of God to be fulfilled in your own life? Are you growing impatient still waiting on the Lord? Express to Him that you trust in His timing as well as His path of fulfilling His promise to you. “Trust in the Lord with all your heart, and do not lean on your own understanding. In all your ways acknowledge him, and he will make straight your paths” (Prov. 3:5-6).